Tottenham Hotspur faces Inter in a game from Group B of the Champions League. Let’s take a look at this very intriguing clash at the Wembley Stadium in London. For Tottenham this is a must win, if they want to keep their chances of reaching the 1/8-finals alive. 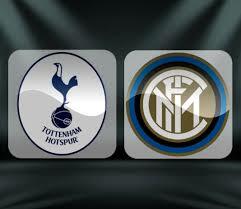 Right now Spurs are 3rd in the group with 4 points, trailing on 3 points behind their next opponent Inter. If they fail to win this one, their dreams of reaching the elimination phase will be over, that’s for sure. So far in the group Tottenham have a record of 1 wins, 1 draw and 2 defeats. Mauricio Pochettino’s boys achieved their first win in the group in the previous round, beating PSV with 2-1 at the Wembley with a brace from Harry Kane. The truth is that Tottenham lost some very important points so far and they may regret it later. Inter on the other hand are 2nd in the group with 7 points and a record of 2 wins, 1 draw and 1 defeat. The Nerazzurri’s only defeat so far came against Barcelona at the Camp Nou. Inter returned to the competition after some long wait, so now they are motivated to do well and qualify for the 1/8-finals. These two sides already met at the San Siro in the first round of the group stage. Christian Eriksen gave Tottenham a lead, but Inter won the game with two late goals from Mauro Icardi and Matias Vecino. It was a true heartbreaker for Tottenham, who once again were let to know that a match is being played for 90 minutes. These are our thoughts about the Champions League clash between Tottenham and Inter at the legendary Wembley Stadium in London. This match is pretty important in this group, so we will look at it with a huge interest.